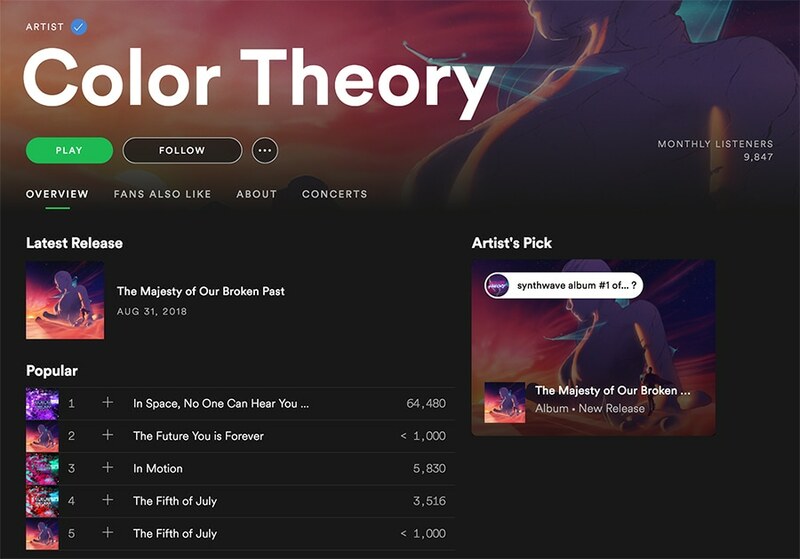 Take a Look at How Color Theory Significantly Grew His Spotify Following By Partnering Up and Using Gleam to Run a Giveaway. Color Theory attracted over 1,000 new Spotify followers in a week by partnering up with musical technology company ROLI and using Gleam to run a giveaway which promoted his music to a wider audience and drove over 5.7k+ actions. One of the biggest obstacles you will face as a musician is exposing your music to new audiences. Once you've managed to get your work in front of an audience the music itself can do the heavy lifting, but finding an audience and encouraging listens in the first place can be quite the challenge. While this can undoubtedly be a hurdle, it's one that you can effectively overcome with the right strategy. One of the most effective ways you can rise to this challenge and promote your music to a new audience is by running a giveaway. 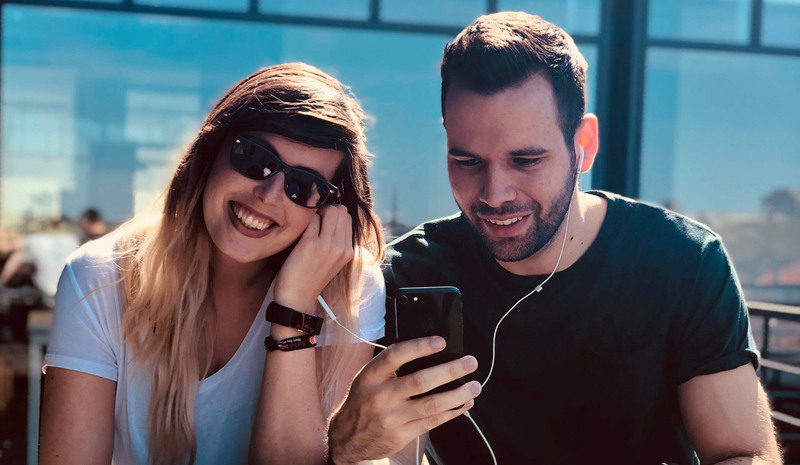 With Gleam's Competitions app you can run giveaways which will help you gain exposure and drive actions to find new listeners and followers on Spotify, SoundCloud, YouTube or any other platform you use to distribute your music. These giveaways are quick and easy to create, leaving you with more time for what matters most: making music. This is a strategy which worked wonders for Color Theory when he partnered up with musical technology company ROLI to give away his entire discography and a ROLI Seaboard Block keyboard to promote his music on Spotify. The giveaway was a resounding success as Color Theory managed to take his Spotify following from 2,000 to 3,000 in only 7 days! We’re going to show you exactly how Color Theory used Gleam to grow his Spotify following and promote his music. In this post we're going to show you exactly how Color Theory drove 1,000 new Spotify follows and other powerful actions by joining forces with ROLI to run a giveaway using Gleam. We'll even give you some tips along the way to help you run your own giveaway and promote your music across a variety of channels. Color Theory is the name of Brian Hazard's one-man electronic music act. For over 20 years Hazard has been making a unique brand of nostalgic synthpop originally inspired by the 80s holy trinity of The Cure, Depeche Mode and The Smiths. Hazard has proven to have outstanding staying power as a musician as he's still going strong to this day. 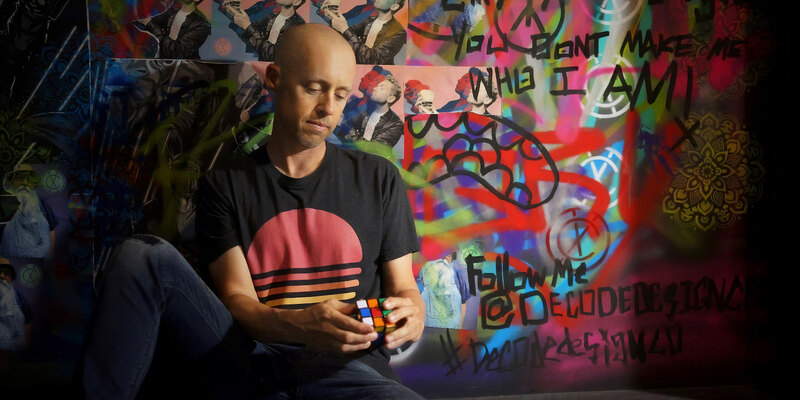 Color Theory continues to put out new music on a regular basis, having released a brand new studio album earlier this year. You can find out more about Color Theory on his website or check out his music on Spotify, SoundCloud or YouTube. Despite the success he has enjoyed, Hazard knows that there is always room to grow. So to bolster his following and find some new listeners he decided to run a giveaway with Gleam. Brian Hazard is always looking for new ways to promote his music and grow his audience. This pursuit is what recently lead Hazard to running a giveaway with Gleam, a strategy which proved to be hugely successful. Hazard maintains an active musical presence across Spotify, SoundCloud, and YouTube, as well as several social media networks such as Twitter and Facebook. Prior to running his giveaway Hazard had already cultivated a sizeable following on most of these platforms, but his audience on Spotify was yet to reach the same level of popularity. Because of this, Hazard decided to devote his giveaway to growing his audience on Spotifpy, a tactic which paid off as he was able to attract over 1,000 new followers in only 7 days! Musicians across the world are gunning for a big Spotify playlist placement, but it’s really tough to build momentum on such a closed platform. The giveaway itself was fairly straightforward. Hazard partnered up with ROLI to give away his entire discography as well as a ROLI Seaboard Block keyboard. This prize was used to incentivise users to complete a variety of actions which benefitted both Hazard and ROLI. A major component of Hazard's campaign was the partnership between himself and ROLI. Partnering up to run a giveaway is a great idea as it gives you access to a larger and more appealing prize pool which helps make entry a whole lot more enticing. This was certainly the case for Hazard. By giving away his own albums Hazard was able to encourage entry from the highly relevant users who know and like his music, but by also offering up a ROLI Seaboard Block he was able to encourage participation and listens from relevant users who may not be familiar with his work. This is a great way to expose yourself to a new audience who is likely to enjoy your music and find new listeners. Partnering with ROLI was integral to the campaign’s success. They put up the prize, a Seaboard Block, which is s super-expressive keyboard that players across the world lust for. Fortunately it’s not just for synth-heads! Anyone can pick one up at an Apple Store to make music on right out of the box. Partnering up also opens up the door to cross-promotional opportunities which will help expose your giveaway (and your music) to your partner's audience. Hazard did an outstanding job of choosing who to partner up with. He knew that as an electronic artist the high-tech instruments made by ROLI would greatly appeal to his audience, and that ROLI's existing audience were exactly the type of people who are likely to enjoy his music. It made perfect sense for my audience, as ROLI gear and the Seaboard Block in particular appear in several of my little performance videos. Hazard had even used the ROLI Seaboard Block he gave away in several of his performance videos, which just goes to show how perfect the pairing is. Partnering up with ROLI allowed Brian Hazard to extend his promotional reach and offer a highly appealing prize which incentivised entry and drove user action. 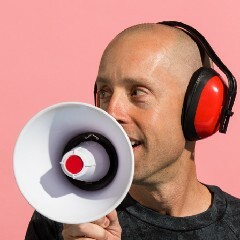 Hazard only incorporated two actions which directly helped promote his music into the campaign; Following him on Spotify and subscribing to his promotional newsletter. This narrow scope allowed Hazard to focus on (and achieve) the highly specific goal of growing his Spotify following. 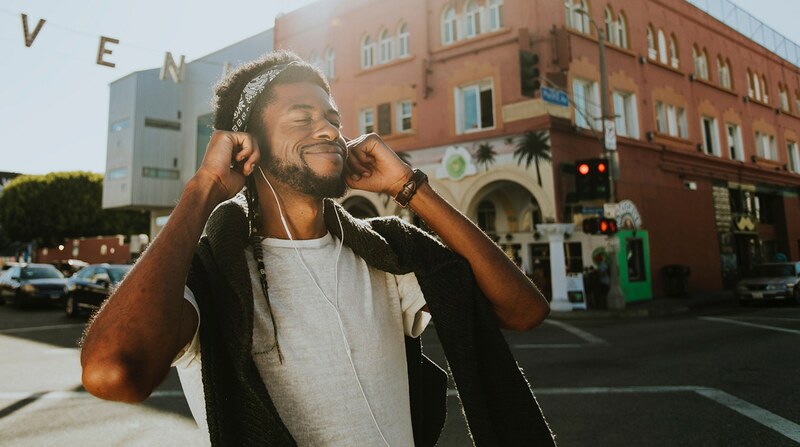 When fans follow you on Spotify, your new tracks are automatically added to their Release Radar playlists, which can provide a big boost in streams and visibility. In addition to these actions, the campaign also included a Viral Share action to help spread the campaign, as well as two actions devoted to ROLI. The simplicity of this campaign is what made it so successful. By limiting the campaign to a few select actions Hazard was able to ensure that entrants were completing the actions he wanted to drive most and helping him reach his primary goal. Hazard also attributed much of his campaign's success to how easy Gleam made it for users to complete these actions and enter the giveaway. Gleam made it painless. I expected to have to walk people through the entry process or even record a video demonstration, but I didn’t receive a single question or complaint. Running a giveaway is an outstanding way to promote your music and find new listeners, but in order to maximise the effectiveness of your campaign it's important that you make the effort to promote it. This is especially important when you're trying to get the ball rolling on social sharing via Retweets or Viral Shares. Brian Hazard did an outstanding job of promoting his giveaway across a multitude of platforms. We blasted a link to the contest out on email, our social channels, and even as a widget in the sidebar of Passive Promotion [Hazard's Blog]. By promoting his campaign across a variety of platforms Hazard was able to encourage entry from a sizeable audience and kickstart the social sharing of his campaign via the Viral Share action and other organic social actions such as Retweets and Facebook Likes. The Viral Share action played an important role in the campaigns promotion, as it allowed Hazard to incentivise users to share the campaign with their own friends for additional entries. This helped attract relevant users who weren't already a part of Hazard's following and encourage them to enter the giveaway and check out Color Theory's music. Another major promotional boost came from Hazard's campaign partner, ROLI. In addition to providing a prize, ROLI also promoted the campaign across their own social channels. This helped the campaign find a larger pool of users and allowed Hazard to expose his music to a new (and highly relevant) audience who have the potential to become listeners. 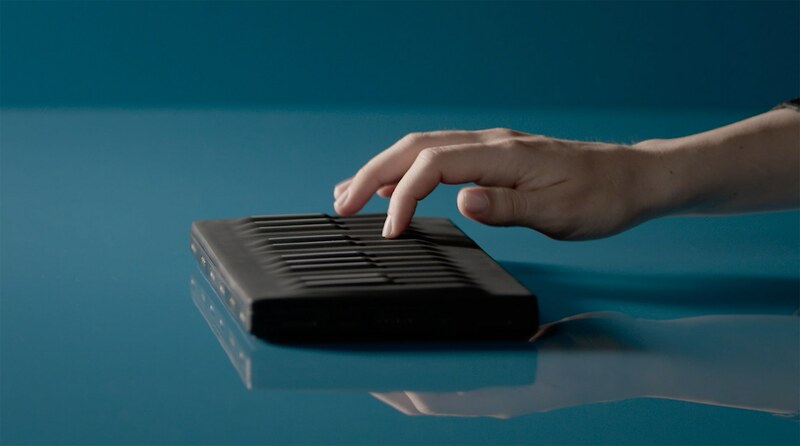 ROLI offered not only a compelling prize, but the reach of their mailing list and social networks. Our audiences were a perfect match. Brian Hazard was able to achieve terrific results with his giveaway. 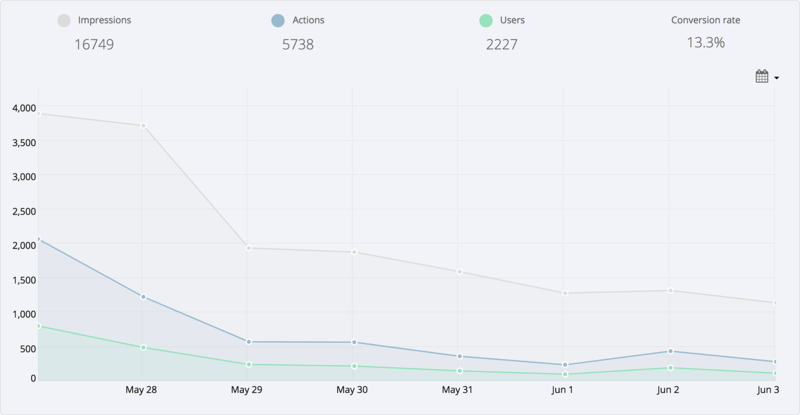 The campaign drove 5,740 actions from 2,229 unique users and resulted in Hazard acquiring 1,019 new Spotify followers and 1,693 new email subscribers. ROLI also got great value from the campaign, netting 2,082 email subscribers and 792 app downloads. The influx of new Spotify followers that Hazard acquired through his giveaway grew his following by an astounding 50%, taking his following from 2,000 to 3,000 in as little as a week. This huge increase in followers paired with the attention generated by the campaign helped Hazard find new listeners and encourage more listening activity from his existing fanbase. This is a fantastic outcome for any musician looking to grow their audience and get more listens. Our Gleam competition boosted my Spotify following by 50%, from 2,000 to 3,000 followers, in a week. I expected a dropoff in the months that followed, but it never happened! I’m up to 3130 now. In addition to the new Spotify followers, Hazard was also able to use the giveaway to drive close to 1,700 mailing list signups. This has allowed Hazard to promote all of his new releases and music channels to a ready-to-go and interested audience which will help him encourage even more listening. Hazard and ROLI both made the most of their new email subscribers by sending out discounted offerings to all new mailing list subscribers. Hazard offered 50% off all of his albums on Bandcamp, while ROLI offered a discount on the Seaboard Block. Both of these offerings are great ways to capitalise on the excitement the campaign generated and drive action from a new audience. 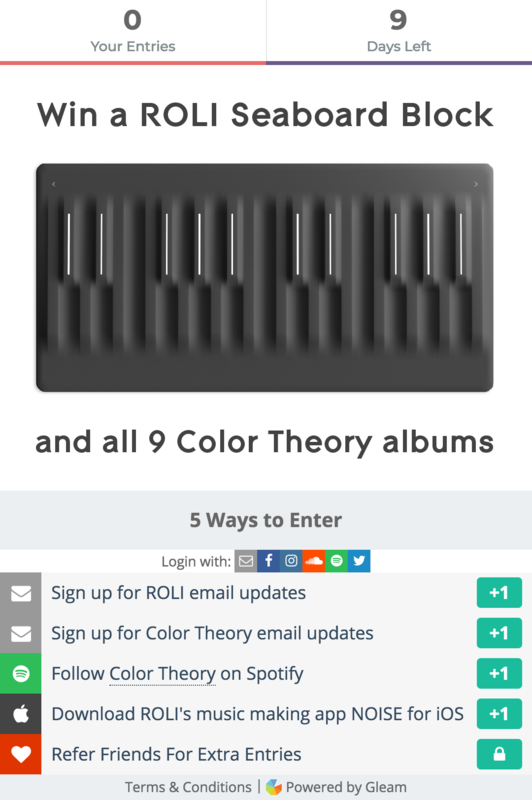 Color Theory’s ROLI Seaboard Block Giveaway was without a doubt a massive success, but what are the key lessons you can learn from it and apply to your own campaign? If you're planning on running a giveaway to promote your music and grow your audience then it's a great idea to partner up with someone to run a joint giveaway. You can try partnering up with another artist, an online influencer, or a brand who is relevant to your target audience. 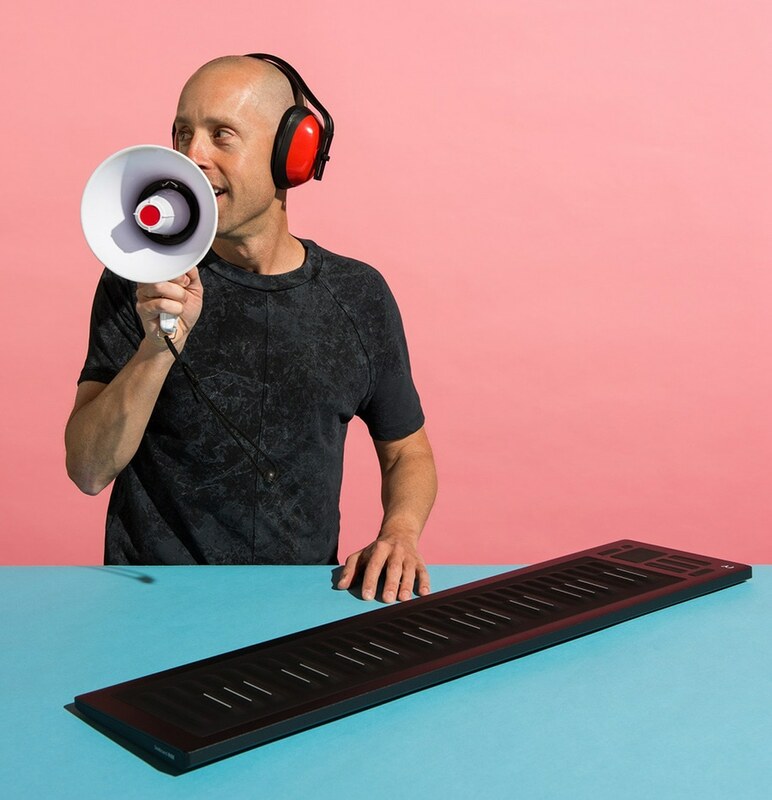 This is exactly what Brian Hazard did when he partnered with ROLI and he was able to drive hugely successful results, reaching and driving meaningful action from thousands of users. Firstly, you will be able to gain access to a larger and more appealing prize pool. As a musician, it makes perfect sense for you to offer up your own music as a prize when running a giveaway. This is a great prize as it will help attract an audience with an interest in your music and keep the campaign's focus on the music you're trying to promote. However, if you want to make entry even more appealing (particularly to users who aren't familiar with your music), then it's a good idea to offer up something else alongside your music. This can be some apparel, music festival tickets, or an instrument or piece of musical equipment which is relevant to your target audience. However, offering up another appealing and relevant prize alongside your music can be quite expensive. That's why it's a good idea to find a partner who can provide a prize in exchange for dedicated actions in your giveaway. You can partner up with a more established artist who can give away music or concert tickets, or you can take Brian Hazard's approach and team up with a brand who can offer a product which is highly appealing to the exact audience you're trying to reach and connect with. The other key advantage of partnering up to run a giveaway is all the additional promotion you will receive. When you run a partner giveaway you won't only be able to promote your campaign to your audience, but also your partner's. This is a fantastic way to expose your giveaway and your music to a new and relevant audience who may have otherwise never heard your music. When you partner up you need to be careful and ensure that your partner's audience aligns with your own. You don't want to waste your time promoting your music to an audience who isn't likely to have any interest in it. Brian Hazard chose his partner very wisely, teaming up with an electronic instrument brand to promote his electronic music. You can do the same by partnering up with a relevant brand, another artist who produces the same genre of music, or an influencer who operates within your niche. Partnering up with established musicians and influencers can be a fantastic way to expose yourself to a massive audience, and often all you'll have to do in return is provide the prize and devote a given number of actions to your partner. In the aftermath of running a giveaway you should be left with a freshly expanded and highly engaged audience who have displayed an interest in your music. All of the excitement and interest left over from your giveaway presents you with the perfect opportunity to drive further action from your audience. You can do this by simply going all out with your usual promotional efforts or you can take things a step further and present a discounted offering to your new and existing fans. You can offer all of your followers discounts on your music, tickets to a show or festival you're playing, merchandise or anything else of relevance. This is a great way to capitalise on the interest generated by your giveaway and drive additional meaningful actions. Brian Hazard took full advantage of this strategy by offering all of his new email subscribers a 50% discount on all of his music on Bandcamp. This is a strategy that you can easily emulate to convert followers into customers and drive awesome results. We emailed our new subscribers to announce the winner and to offer a discount code, since they obviously expressed an interest in the Seaboard Block and/or my albums. If you want to offer your fans a discount as a follow up campaign it can be an especially good idea to align your giveaway with something exciting such as an upcoming album launch, tour, or festival. Lining your giveaway up with a new release or show gives you the perfect opportunity to offer exciting discounts to your followers and use the engagement generated by your campaign to drive album sales or ticket purchases from an audience whose interest has already been piqued. Aligning with a new release will allow you to add an extra layer of excitement to your giveaway and use it to grow and engage your audience right before a launch. This can help you drive listens, ticket sales or more social engagement. When you run a promotional giveaway you might be trying to gain more all-round exposure and drive traffic to all of your musical channels, or you may have a very specific goal such as growing your Spotify following or getting more views on YouTube. If your goal is promote yourself and grow across all of these channels then it's worth including as many actions as you need into your campaign. However, if you have a very specific goal then you want to ensure that users are completing the actions you want them to complete and not getting distracted by any unnecessary ones. Brian Hazard did a great job of focusing his giveaway on only the actions he wanted to drive most. Hazard simply wanted to grow his Spotify following and newsletter subscriptions so he didn't include any actions which would distract from this core goal. As a result of this Hazard was able to focus on these actions and drive over 1,000 new Spotify followers and 1,600 email subscribers. If you want your giveaway to include a wide selection of actions, but there are still a few you want to prioritise it's wise to give your most valued actions prime positioning. People are most likely to complete the actions they see first, so place your most important actions in the first few spots at the top of your campaign. Put your most desired actions first! Hazard put his email subscription action before his Spotify follow action and it received over 50% more actions. Since Hazard's primary goal was to grow his Spotify following this ordering is the first thing he would change if he ran the giveaway again. I would have put the Spotify action first instead of email subscriptions. Another way you can encourage the completion of your most important actions is by weighting them more heavily than other actions. With Gleam you can choose how many entries users get for completing each action, so if there are some high value actions you want to really encourage users to complete you can simply award more entries to users who complete them. If you want to encourage entrants to complete every action in your giveaway then you can try using a Bonus Action to award extra entries to any users who complete all of your actions. Find out how Gleam can take your music promotion to the next level with this helpful guide. When you run a giveaway you want to share it with as many users as possible. Unfortunately, there's only so much you can do through your own channels. If you want your giveaway to really take off and gain massive amounts of social traction then you need to get your audience to promote the campaign for you. When you use Gleam to run your giveaway you can use our Viral Share action to award entries to users who successfully refer their friends to the campaign. What I love about the Viral Share action is that it doesn’t count as a share unless someone else actually follows the sharer's link and enters the competition. As a result, every share is legit! This is a highly effective way to help your campaign gain traction and expose your music to new, relevant audiences who otherwise may have never known about your giveaway or your music. If you want to maximise the chances of your giveaway going viral than you should definitely incorporate this action into your next campaign. Brian Hazard took full advantage of the Viral Share action in his giveaway and was able to expose his campaign and music to 154 new users as a result. I love giving people the option to earn potentially unlimited entries! Do you want to incentivise powerful actions and promote your music with your own giveaway? Jane.com uses Gleam to run weekly co-branded giveaways which have driven over 4 million actions in the last two years and helped them acquire a constant stream of customers.